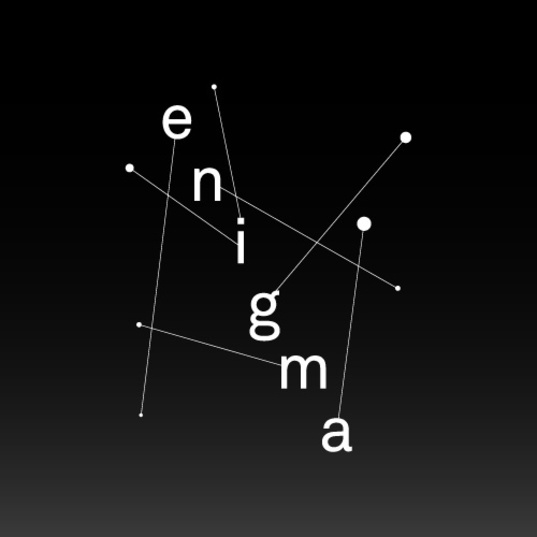 The immersive performance Enigma depicts forms of visual and sound information transcoding. Amongst the themes explored, the artists worked around the thought of mathematician Alan Turing through the exploration of issues related to artificial intelligence, deep learning, and digital identity. The creators also focused on the parallel drawn by Turing between the cryptographer and the physician, who attempts to decrypt the universe in which we live. The inclusion of a human-machine dialogue, inspired by a series of experiences conducted at Google in the area of deep learning, gives us a glimpse at the challenges machines will face in their learning and decrypting of human thought.